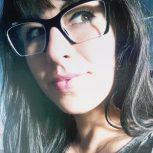 It’s a joy to welcome Cirilia Rose as an MDK contributor. We’ve been following Cirilia around the internet for years, as she brought her bright energy and spirit of adventure to jobs at influencers of the knitting world. Today Cirilia works in fashion, so she is a civilian knitter, but we are glad that she is in the reserves so we can call her up. Two nights ago, while whipping through my nightly ablutions, I got a postcard from the other side of the world. Well—a digital postcard, via Instagram, the steady drip of visual stimulation I check, oh, several dozen times an hour. I could quit anytime (but I won’t). The dispatch came from my sweet friend, hyper-talented nomad Stephen West. Halfway through a trip to Japan, he gave me his assessment so far. “Temples everywhere and cool cafes. 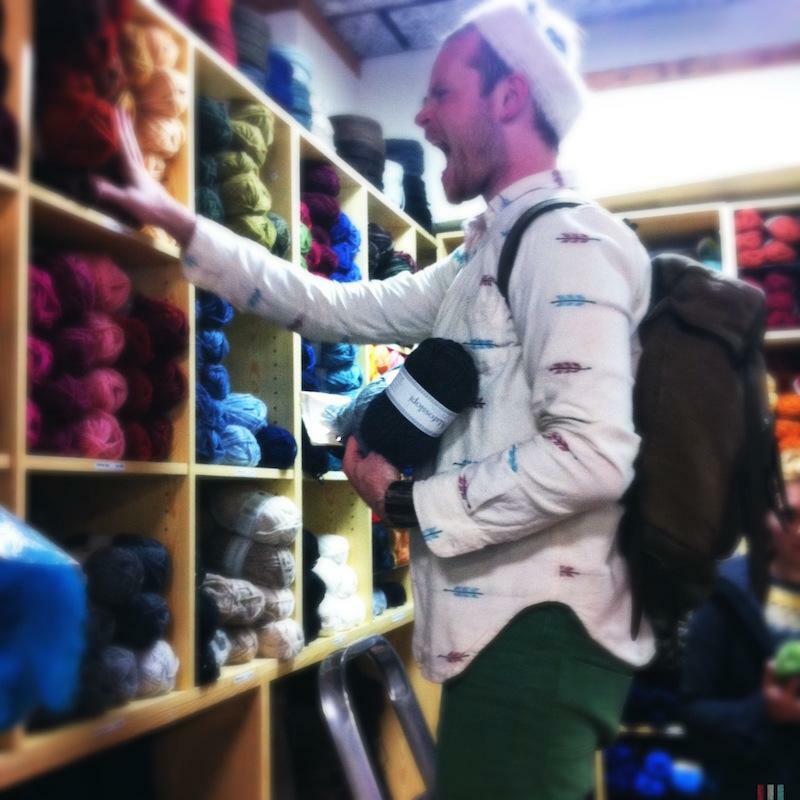 The yarn shop was totes kawaii—it’s my Iceland of Asia. Just a few more million people.” I knew exactly what he meant, having spent many happy days with him on the chilly island. The combination of creative exhilaration and languid calm is something we’ve both been hooked on since our first sulphur-laced breath of Icelandic air. 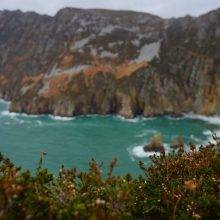 Our first trip to the geographically youthful country spanned two weeks, made even more indulgent by summer days that barely dipped into darkness, much closer to midnight than made logical sense. Sleep becomes almost optional as the locals vibrate with the excitement of sun, but not necessarily warmth, after eons of mettle-testing weather. We’ve been back in those seasons as well, and the blistering winds (which by the way, blow in summer too) and sideways sleet did nothing to shake our affection. HönnunarMars/DesignMarch is an especially vivid time to visit, in spite of dreary, dark weather (translation: relatively affordable airfare). Revel in the unique sensibilities of Scandinavia’s most quirky country, and the wooliest runway shows at the Reykjavík Fashion Festival, which runs directly after DesignMarch. Friends, and friends of friends, often ask me for recommendations on what they should do while on their own arctic stopovers. Knowing nothing of their travel proclivities, I’m usually at a loss. But when a knitter asks, I have plenty to share. Start your day at Reykjavík Roasters, located just a block away from Hallgrímskirkja, the bright, Expressionist church that juts skyward, serving as a homing beacon for any newcomer. 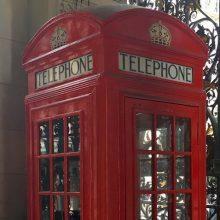 Visible from nearly any spot downtown, it’s an excellent tool for finding one’s way in a highly walkable city. 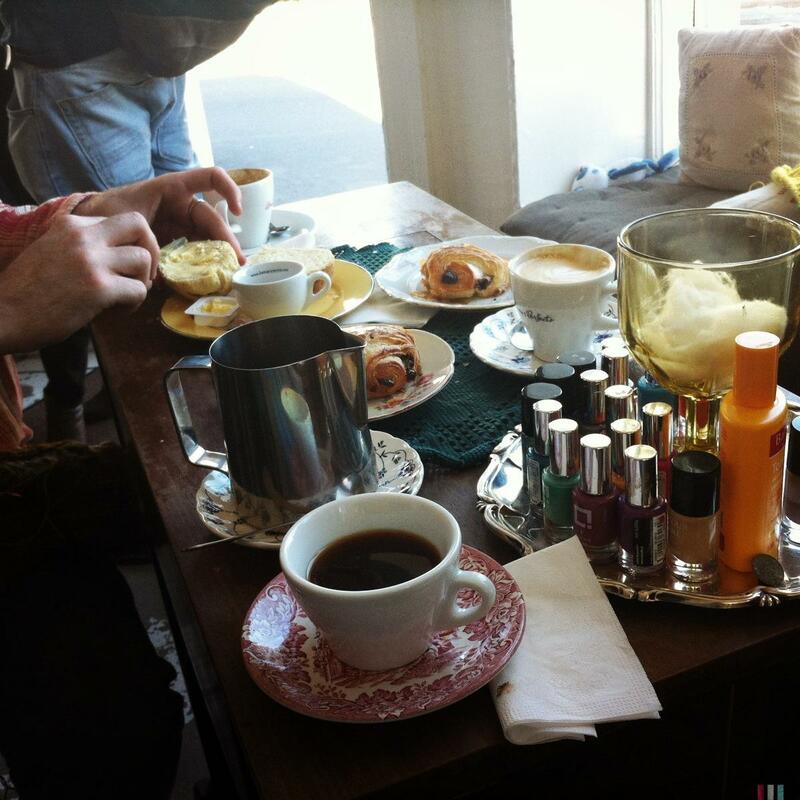 Plot your day while enjoying the steady stream of locals stopping in to get their caffeine fix. Starbucks it is not, with many people settling in for hours, holding court with latte after latte and gossip galore. Baskets of knitting, a record player and a nail polish collection all urge you to stay a while. Pro tip: when ordering a baked good to go with your Americano (my favorite is the cinnamon scone), you may see “sulta og smjör” alongside the item. My crude Icelandic lead me to think I needed to choose jam or butter, but no—og means ‘and’, no choosing required. Get both, diets be damned, and bask in the sunny people-watching haven. 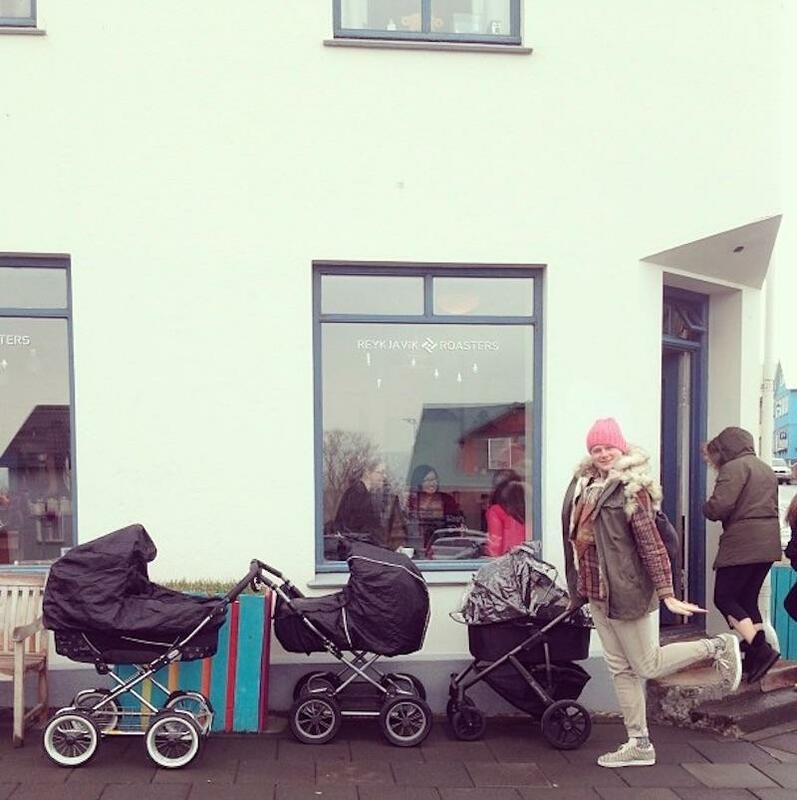 You may even see a pram parked outside, baby tucked snugly inside in the grand Nordic tradition of fresh air exposure that never fails to freak out foreigners. 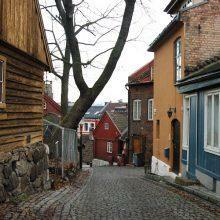 Burn off your breakfast pastries with a meandering walk through town. Marvel at the truly insane parking jobs. The urban myth is that Icelanders are so used to being surrounded by wild, unencumbered space that they never really saw the point of mastering parallel parking. They are for the most part quite intelligent, so I have to believe this is just a hilarious streak of willfulness on display. 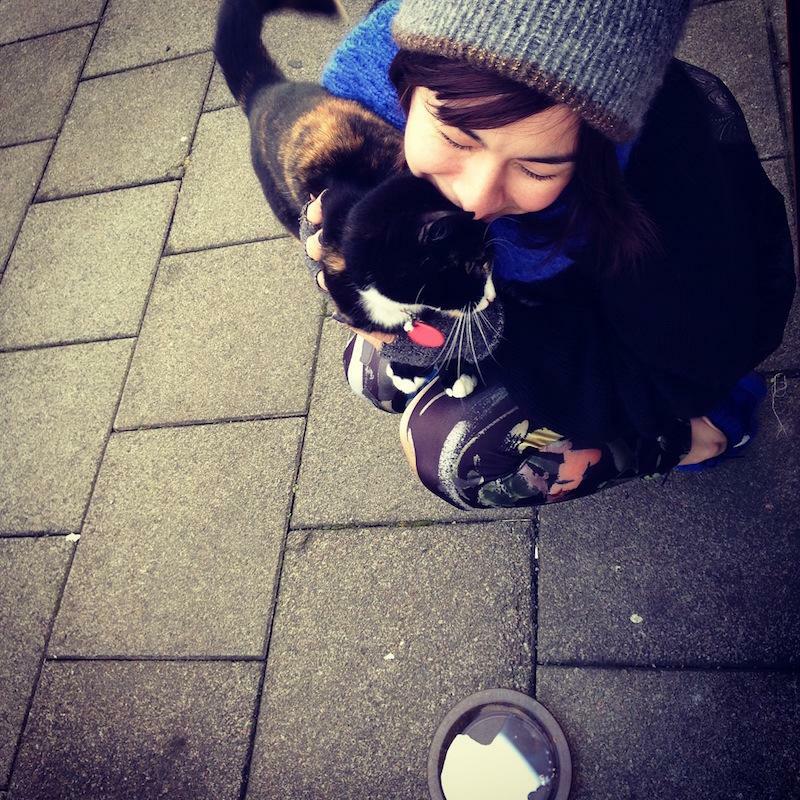 As you walk, be sure to greet the street cats. Canine friends have only been legal here since the eighties, which means that, as souvenir tees and postcards proclaim, “cats rule this town.” It’s hard to imagine a happier place for a kisa to roam, feasting on leftover bits of harðfiskur and skyr (dried fish and dense, non-fat yogurt), enjoying the adulation of utterly charmed tourists (cough *me* cough). Shops are small and idiosyncratic. Nestled among imported tchotchke depots you’ll find pop-up gallery spaces selling far more interesting and in many cases pricey items. 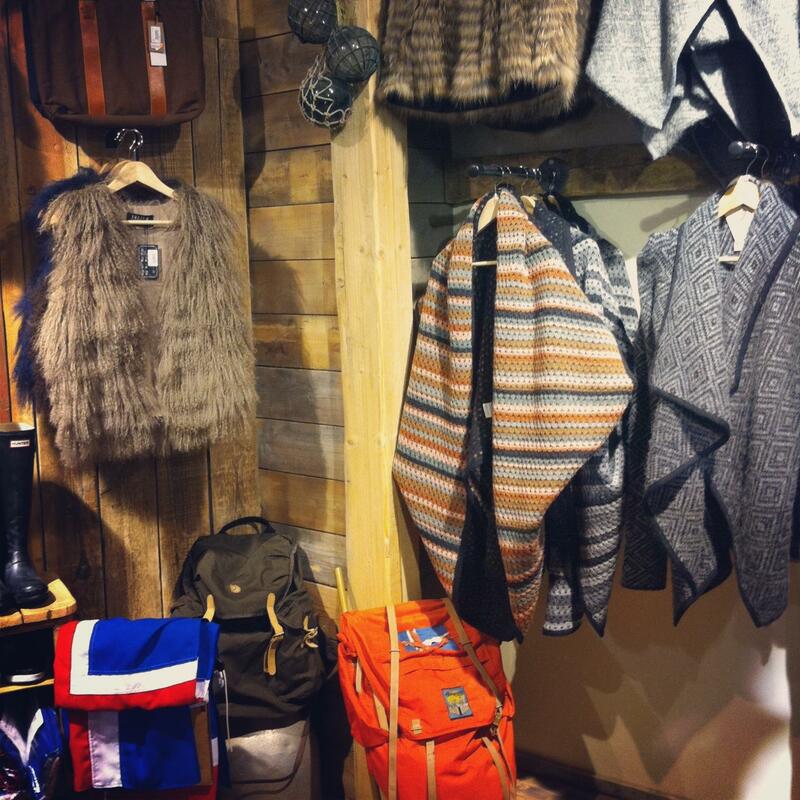 If you find that your wardrobe isn’t holding up to the bitter winds, pop into Geysir to find a well-curated mix of familiar outdoorsy brands like Fjällräven and Pendleton co-mingling with Icelandic staples from rustic-chic Farmer’s Market and knitting collective Vík Prjónsdóttir. This is where you start to realize that you’re among friends. GORE-TEX® and waxed cotton are all well and good, but they are nothing without wool. 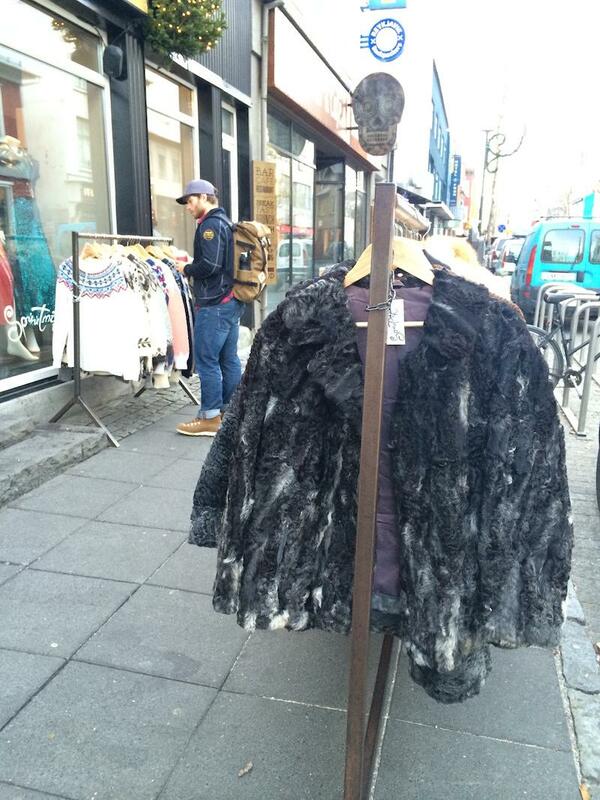 Here, and all over Reykjavík, you’ll see evidence that this is a land that gets it. The unmatched warmth and comforting power of wool is not something you need to make a case for, it’s just understood. Just before you hit the Geysir shop on Skólavörðustígur (I’m still working on pronouncing this one), you’ll find a woolly mecca in the Handknitting Association of Iceland. This is where you should buy your souvenir lopapeysa or the raw materials to knit your own. Stacks of impossibly fluffy pullovers, cardigans and blankets (buy in triplicate) dampen delighted squeals to a tolerable decibel level, and there WILL be squealing when you calculate the manageable cost of your new stash. Plenty of krona leftover for lunch, but before you leave, be sure to seek out the one-of-a-kind pieces, usually on a garment rack by the windows. These stray from the stranded yoke formula ever so slightly, incorporating intarsia and marled combinations to great effect. Let their artful abandon inspire your purchase. Ambling down a bit further, you’ll find Núðluskálin. My advice for eating in Iceland is to stick closely to the native diet, a Hobbitish mix of root vegetables, fish, lamb and dairy. Anything exotic tends to be expensive and at times amateurish, but Núðluskálin bucks that trend with a globally inspired pastiche of noodle-based dishes in extremely tasty broth. Cheap and filling, top the aromatic bowls with a staggering range of condiments and slurp down every bit while keeping your eyes peeled for Björk (seriously). Your budget will be very much intact at this point, but if you’re still committed to bargains, stop by the Red Cross thrift store on Laugavegur. This is where you’ll find firsthand evidence of the resilient beauty of dual-coated Icelandic sheep’s wool. Vintage lopapeysa can be purchased here for a song, or a least a fraction of the cost of a new one from Handknitting Association. If you need something more suited to a bar crawl or basement show, head to Nostalgía for 1970s sequins and silky slip dresses in neon hues. Let the audacious street style seep into your pores and shed any aversion to mixing prints or fear of piling on layers. Reykjavík style is equal parts practicality and drama, with searing brights keeping spirits up in the winter darkness and cocoon-like silhouettes trapping warmth while cutting an imposing figure. 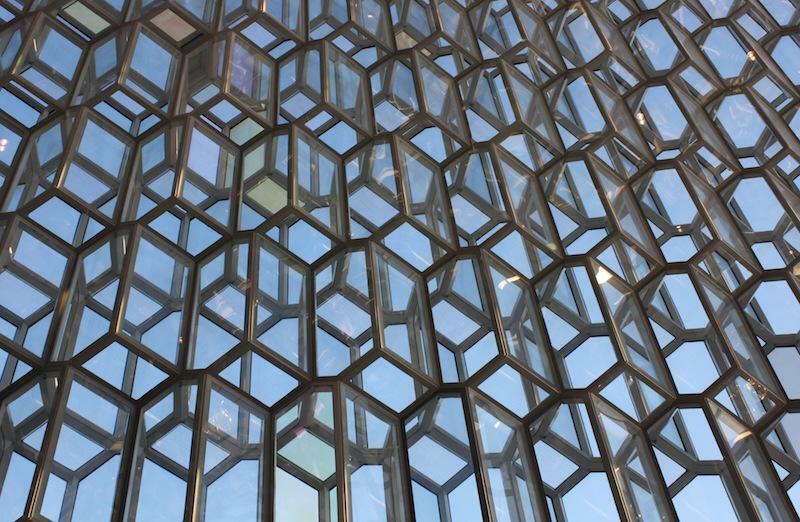 When day cross-dissolves into dusk, make your way down to Harpa, the prismatic concert hall that anchors the harbor. Walk alongside the water, stopping to admire Sólfarið, the steely, skeletal boat that peers out over the “smoky bay” that gave the city its name. 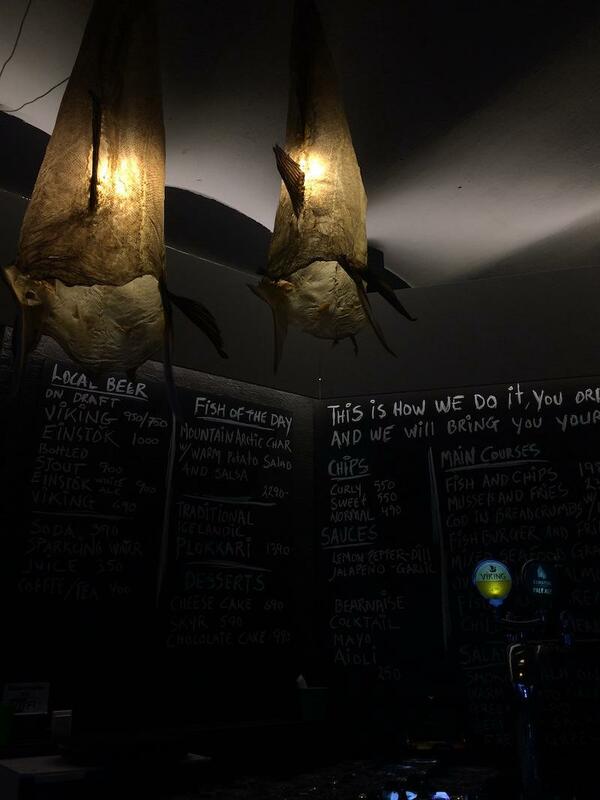 Land at the plainly named Reykjavik Fish Restaurant, where you’ll find a straightforward menu and striking pendant lamps made from scaly, upcycled skins. There are certainly more gourmet options in town, but after a day spent shivering and shopping, their perfectly prepared fish and chips hit the spot. Even better? They will let you order every single one of their delicious skyr-based sauces on the side. Zig-zag back through town toward KEX Hostel, keeping an ear out for the men’s choir that rehearses in ultra cozy Kaffibarrin on Monday nights. Refuel with a local lager while you plot your next move, or settle in for the evening nestled among vintage needlepoint pillows and an absurdly good-looking crowd. There is usually something happening right at the hostel, and with a mixed crowd of travelers and locals, it’s the perfect spot to people watch or make new friends. Don’t be shy—you’ll want plenty of reasons to return. 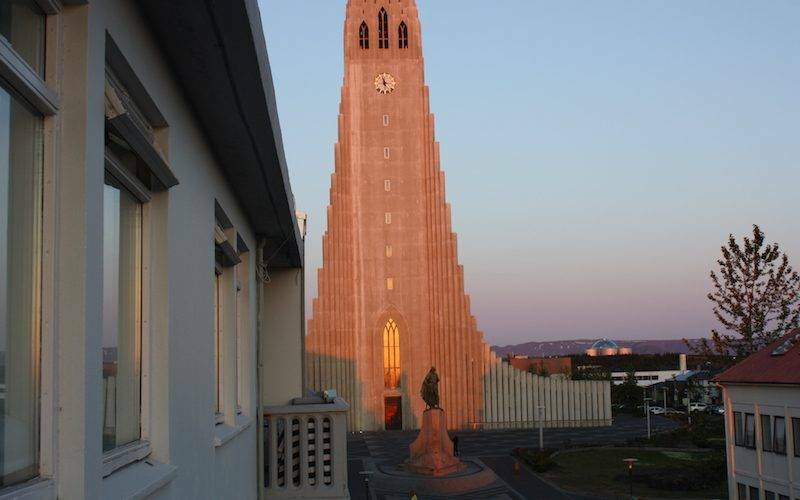 If you are lucky enough to be headed to Reykjavík, here’s a Google map of all the spots mentioned in this article. Each piece in our series A Knitter’s Weekend is written by a knitter with local knowledge and a personal point of view. If you have additional places or information you’d like to share, we’d love to hear it—please leave a comment. And if you have plans to visit Reykjavík, be sure to save this article in your MDK account. While studying consumer culture and aesthetics in Western Massachusetts, Cirilia Rose took a job at WEBS, a family-owned yarn shop that happened to be one of the largest in the country. It was an auspicious start: she went on to produce and promote globally sourced yarns with Berroco, Skacel and Zealana, spending nearly a decade designing and writing for knitters. Her book Magpies, Homebodies and Nomads: A Modern Knitter’s Guide to Discovering and Exploring Style was published by Abrams in 2014. These days Cirilia is an editorial copywriter at Nordstrom, another family-owned business, in her adopted city of Seattle. She volunteers with GeekGirlCon and is thrilled to be a civilian knitter again, although somewhat intimidated by her formidable stash. You can follow her pursuits at www.ciriliarose.com and on Instagram. Follow in the footsteps of these traveling knitters. I love these wonderfully descriptive tours! And I love Cirilia Rose! Her book is one of my favorites! So nice to see what she is doing now! And I loved Iceland! 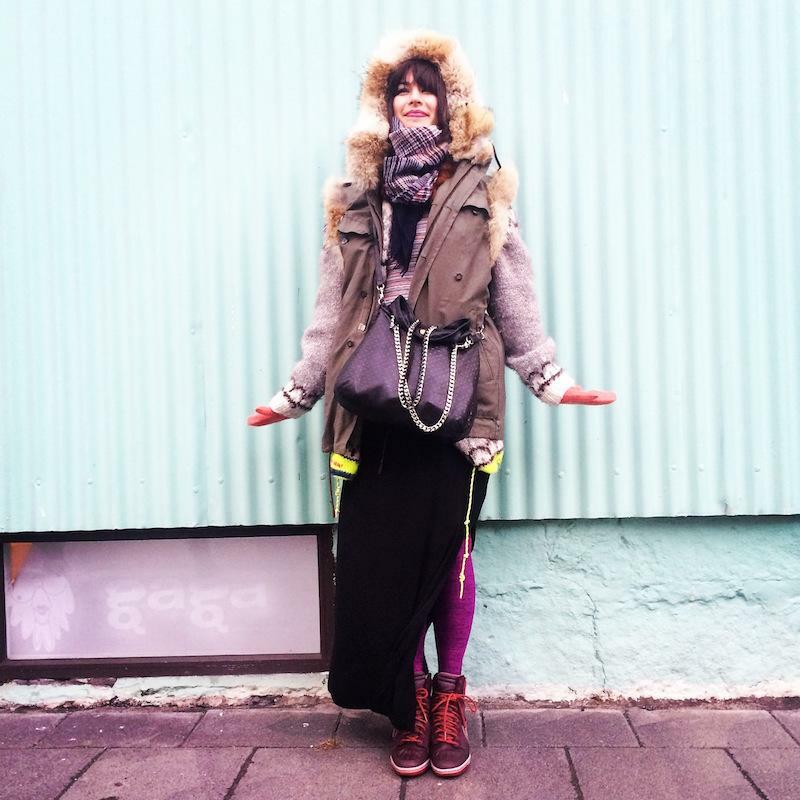 We didn’t spend time in Reykjavik, and this post makes me want to return. Jock full of info and wonderfully written (with perfectly placed asides). Where to next? p.s. I spy granny stripes. I hope there’s another trip to Iceland in my future, because I LOVED my first, a decade ago. Meanwhile, thanks for giving me a (virtual) return tour. Oh, I’m so happy! I love Cirilia Rose! Good job bringing her on board, Ann and Kay! Cirillia. Thx for the article. Will use the info as I knit and Crichet my way thru Iceland. It’s on my Bucket List. Iceland allows whaling. A good reason to boycott visiting. that google map link brings up an empty page. We spent 3 wonderful, windy days here a couple of years ago and it was wonderful! Rented a car and drove around a bit before taking a tour. And yes, I bought yarn – even at the airport!!! TRAVEL GOALS!! 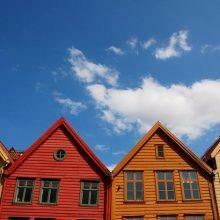 This sounds like a dream, wishing to visit Iceland one day myself… Maybe even without kids! …A girl can dream… LOL!